Lucibellos Love Celebration and what can be better way of celebration then cakes cake is a celebratory which people order or make during special occasion. Being India’s first standalone store for churros, The Bombay Churros aims at making the world a better churro place. With the vision to change the definition of desserts, The Bombay Churros is on a run to make churros a Pan Asian and a pocket friendly experience. Being a QSR, The Bombay Churros aims at giving quicker returns with the lowest possible investment and making premium dessert a friendly affair. 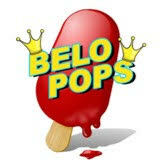 Handcrafted All Natural Pops 100% Healthy, Gluit Free and Organic. Vihaan Hitech is a Digital Marketing company company across India.Our comprechensive Bouquet of Services range from Media,creative,search,Analytics,Mobile,software,solutions,social&ORM.We hlep you to grow your business vi offline&digitally. Heera-star Holidays pvt Ltd. is one of the many diversihed associate companies which was established 27yrs ago. we create an great opportunity for families to save, travel and earn.